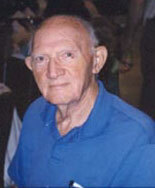 Sid Deutsch was associated with the E.E. department of Polytechnic Inst. of Brooklyn (1951-1972); E.E. department of Rutgers Univ. (1972-1979); Biomedical Engineering program of Tel-Aviv Univ. (1979-1983); and E.E. department of Univ. of South Florida, Tampa (1983-1998). Dr. Deutsch is the author of "Theory and Design of Television Receivers," McGraw-Hill, 1951; "Models of the Nervous System," John Wiley, 1967; "Return of the Ether," SciTech, 1999; "Are You Conscious, and Can You Prove It?," iUniverse, 2003; "Einstein?s Greatest Mistake: Abandonment of the Aether," iUniverse, 2006; and is co-author of "Biomedical Instruments: Theory and Design," Academic, 1976, 1992; "Neuroelectric Systems," New York University, 1987, and "Understanding the Nervous System: An Engineering Perspective," IEEE Press, 1993.
Cooper Union, B.E.E., 1941; Polytechnic Institute of Brooklyn (now Polytechnic University), Ph.D., 1955. He is a Fellow of the Institute of Electrical and Electronics Engineers and of the Society for Information Display. He was an Associate Editor of IEEE Transactions on Biomedical Engineering from 1991 to 1996.